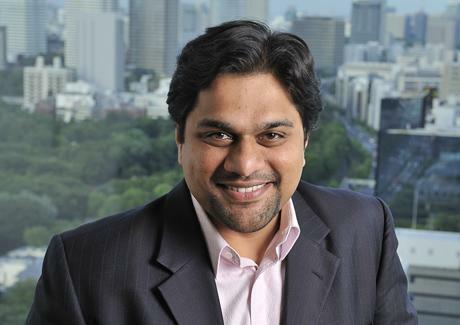 TOKYO - Amar Urhekar (pictured) has been promoted to representative director and president of McCann Healthcare Worldwide (MHWW) Japan. Urhekar was most recently the executive VP for Japan and Asia-Pacific at MHWW Japan. He joined the healthcare unit in India during 2000 as its first employee in India. He went on to expand the operation across Mumbai and Delhi and subsequently relocated to Shanghai as managing partner to rebuild the China business. Urhekar is taking over the role from John Cahill, who is stepping up as global CEO. According to Cahill, "Amar and I go back many years and I have every confidence that he will bring further great success to Japan and Asia-Pacific." Speaking of his promotion, Urhekar said, "MHWW aims to be recognised as the pioneers and true strategic partners for the healthcare industry that is leading the effort in establishing and owning 'evidence based health communication' practice, from key opinion advocacy programmes all the way down to direct to consumer or OTC communications." Campaign Asia-Pacific awarded MHWW as Specialist Agency of the Year in both 2009 and 2010.